Dorchester Collection is a luxury hotel operator owned by the Brunei Investment Agency (BIA), an arm of the Ministry of Finance of Brunei. 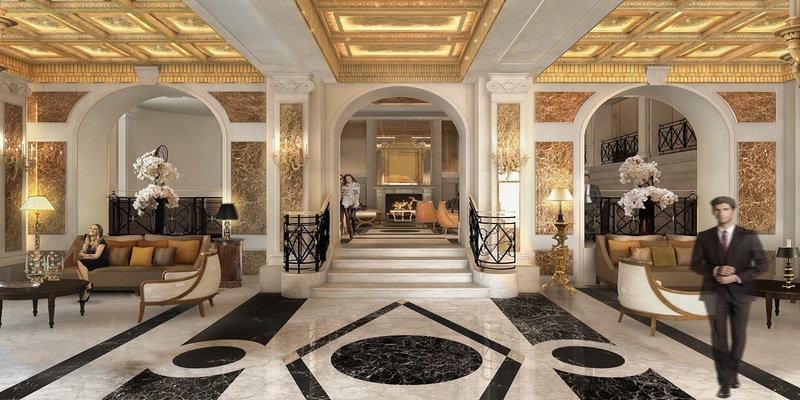 Dorchester Collection owns and manages 10 luxury five star hotels, The Dorchester, The Beverly Hills Hotel, Plaza Athénée, Hotel Meurice, Principe di Savoia, Hotel Bel-Air, Coworth Park, 45 Park Lane, Le Richemond and Hotel Eden. Spark developed in conjunction with & Smith Design in London and the Dorchester Hotel Group a lovingly created vinyl album. The album was launched at the same time as the reopening of Hotel Eden, one of Rome’s most luxurious and historic hotels, took place. The album was given to selected VIPs at the launch and special guests but will also be available for sale at the hotel reception and hotel shop. The hotel opened in 1889 quickly made a name for itself, becoming a favourite with foreign visitors wintering in Rome. In 1902 another floor was added to the building and the terrace, which was destined to become the feather in the hotel’s cap, was originally used to hang out the Eden’s linen sheets and towels and finely embroidered table cloths. Since then the Eden has always been at the centre of Roman hospitality, hotel that the celebrities visit and its Golden Book records many of its most memorable moments. Names and images cram the pages which are now yellowed with time. The signatures of the Grand Duchess Olga of Russia, Princess Teresa of Bavaria, King Alfonso XIII of Spain, Prince Paolo of Serbia, Queen Amelia of Portugal and Umberto of Savoy are all written in Indian ink on its pages. The signature of the entire family of Galitzine Princes and the names of Gabriele D’Annunzio and Elenora Duse are all on one page. One period photograph is the blurred portrait of Carlo of Bourbon with his family, the Infanta Luisa and other ladies wearing black mantillas. Then, there is the portrait of Princess Maria of Bourbon in her wedding dress as she leaves the Hotel Eden on the day of her marriage to Prince Giovanni of Asturias. Even today there is no view in Rome to rival the breath-taking spectacle from the famed roof garden. It is no mere coincidence that the great maestro of the screen, Federico Fellini, a Roman by adoption, always chose La Terrazza for his interviews. 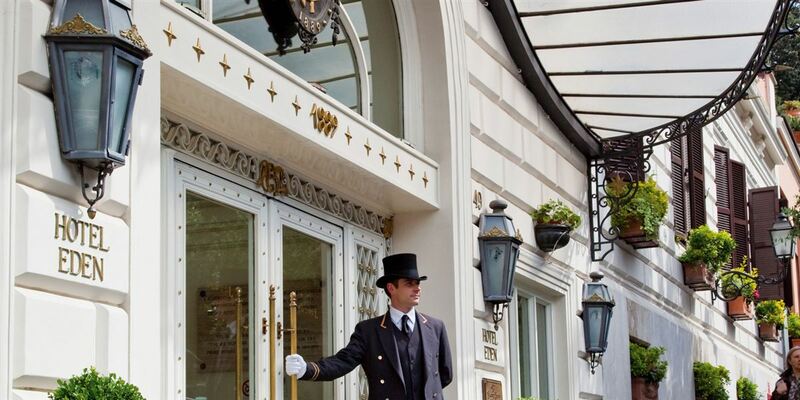 The Hotel Eden is now part of Dorchester Collection. 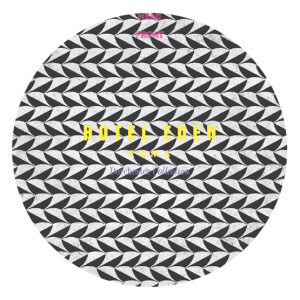 Spark did all the music rights clearances with music labels and the copyright society, set up label copy, mastered the album for vinyl production and provided test pressings of the vinyl for Hotel Eden to approve. The record is lovingly packaged in a gatefold packaging printed on reverse artboard and embossed with a hotfoil on the front cover. Spark oversaw the manufacturing and printing and delivery to Hotel Eden in Rome.